(VIA NASCAR Wire Service) LOUDON, N.H. – The relief was palpable. 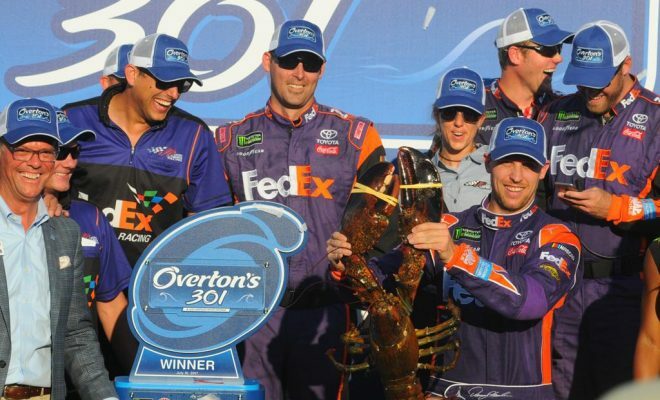 In a thrilling finish fraught with suspense, and in a backup car after a Friday crash in practice, Denny Hamlin held off a charging Kyle Larson to win the Overton’s 301 Monster Energy NASCAR Cup Series race on Sunday at New Hampshire Motor Speedway. Before the race, Hamlin and the entire Joe Gibbs Racing organization was in desperation mode, but when Hamlin took the checkered flag .509 seconds ahead of Larson, the picture changed dramatically. Hamlin secured a spot in the 10-race postseason playoff, which is now seven races away. In winning for the third time at the Magic Mile and the 30th time in his career, the driver of the No. 11 Toyota broke a personal 20-race drought, dating to last year’s playoff event at Texas Motor Speedway. That was also the last time any of the four JGR cars had won a race. “Yeah, it’s just a great feeling,” Hamlin said. “I know we’ve been getting better and better as the year goes on, but definitely needed a win for the organization and for myself and just kind of get some momentum going with the playoffs are coming up—so we’ve got to get going. Really this is awesome. Taking the green flag for the final time from the fourth position in the outside lane at a track treated with traction compound before the race, Hamlin passed teammate Matt Kenseth for the lead on Lap 268 and pulled out to an advantage of more than 2.5 seconds before Larson began to run him down. Kenseth had passed eventual third-place finisher Martin Truex Jr. for the top spot on Lap 261, one lap before Ryan Newman’s spin in Turn 2 caused the seventh caution and set up the final restart. Kenseth took right-side tires only under the yellow and was no match for Hamlin and Larson, who had fresh rubber on all four corners. Kenseth held fourth ahead of Kevin Harvick over the closing 35-lap green-flag run. Having started the race from the rear of the field after his qualifying time was disallowed because of a non-conforming rear decklid fin, Larson had a clear advantage in speed over Hamlin in the final run but couldn’t close to the bumper of the No. 11. “I was catching him a couple tenths of a lap there, and then it seemed like when I got kind of close there, I don’t know, within four or five car lengths at the end, my lap times kind of evened off a little bit with him,” said Larson, who now has seven second-place finishes to go with his two victories this year. Martin Truex Jr. led the first 78 laps and picked up his 14th stage win of the season in the first 75-lap segment, but a caution on Lap 67 for Cole Whitt’s blown engine divided the field on strategy. Truex stayed out under the yellow with 10 other drivers and collected the playoff point for the stage victory, while Kyle Busch led the rest of the field to pit road. Busch inherited the lead when Truex and the rest of the cars that had stayed on the track came to pit road under caution at the end of the stage. The second stage belonged to Busch, who led 75 consecutive laps in picking up the playoff point. But Busch lost three positions on pit road during the caution between the second and final stages, and two subsequent pit road speeding penalties derailed his winning chances. The driver of the No. 18 Joe Gibbs Racing Toyota rallied from his second infraction to finish 12th. Truex had a late-race issue, too, having to make an unscheduled pit stop for a flat right front tire on Lap 218 of 301. Though Truex later regained the lead, he was at a huge tire disadvantage and eventually lost the top spot to Matt Kenseth before Newman’s spin brought out the yellow flag for the final time. Sunoco rookie of the year contender Daniel Suarez ran sixth in the No. 19 JGR Toyota, matching a career best. Clint Bowyer was seventh, followed by Kurt Busch, Brad Keselowski and Jimmie Johnson. Notes: Truex widened his series lead over second-place Larson from 34 to 38 points. 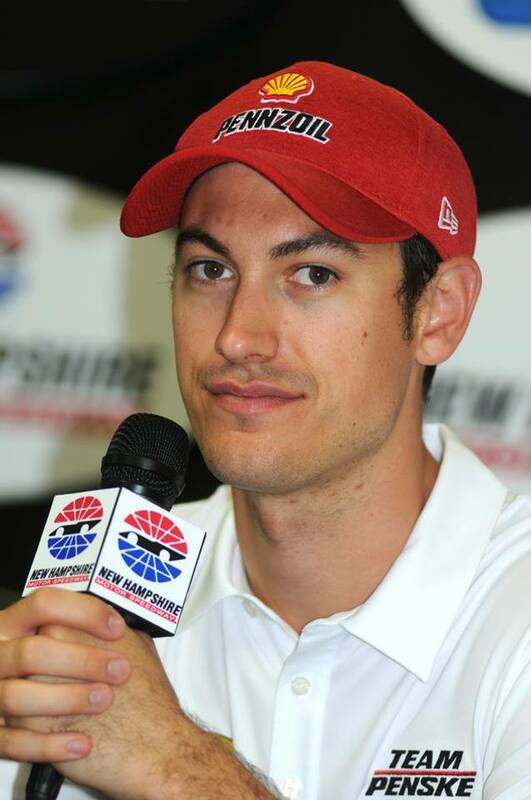 … Joey Logano suffered a rear suspension failure and lost 33 laps in the garage while his No. 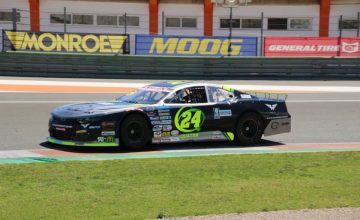 22 Ford was repaired, finished 37th and fell 52 points behind Kenseth for the final berth in the playoff. 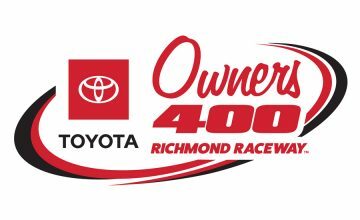 … Paced by Truex’s race-high 137 laps, Toyota drivers led 290 of 301 circuits. Dale Earnhardt Jr., who finished 18th led twice for 10 laps, once at the end of a cycle of green-flag pit stops, once by staying out on old tires for the final restart. Larson led one lap.